ORION will offer Ontario’s research and education community an exclusive EC-Council STORM Mobile Security Toolkit Ethical Hacking Workshop at the Advance Ontario Conference on May 14th – 16th, 2019. This workshop will help further ORION’s goal to improve the cybersecurity posture of this important sector. The STORM workshop offers significant value for attendees; they will not only gain knowledge from a highly-skilled trainer about securing their network but also get cool swag, a tablet (Raspberry Pi) along with pre-loaded lectures, and exercises to practice. The workshop is one-of-a-kind, developed by ORION’S training partner, EC-Council, a leading cybersecurity credentialing body. 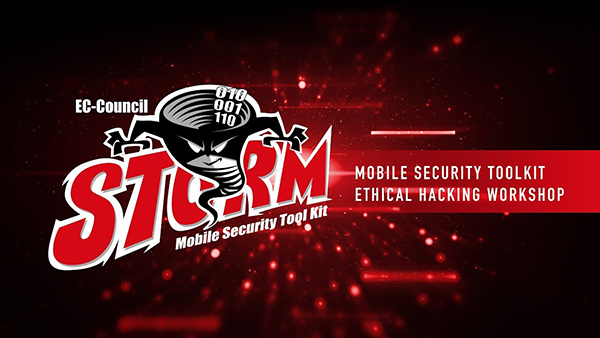 It includes selected modules from EC-Council’s Certified Network Defender (CND) and Certified Ethical Hacker (CEH) certification courses, that are applied for use on the STORM tablet. This workshop and conference, as executed by ORION, is going to be one of the most powerful programs which encapsulates the lesser-known trends that will help pool resources towards new and potential technologies like blockchain and artificial intelligence. The STORM toolkit is one of the strongest protective weapons an institution can leverage against cyberattacks. The program will also enlighten the scope and benefits of those envisioning a career in cybersecurity. The agenda of the three-day Advance Ontario conference incorporates educational sessions, interaction with industry leaders, and award presentations for sector leaders. All STORM workshop participants will receive a ticket to the conference to enjoy a series of cybersecurity speakers including Robert W. (Bob) Gordon, Executive Director of CCTX; John Levay, CIO/CTO at Niagara College; Farooq Naiyer, CISO of ORION; Danish Arshad, Executive Director of EC-Council; Charles Finlay, Executive Director of Cybersecure Catalyst; Adriana Gliga-Belavic, Partner in the PwC Cyber Security & Privacy; Gayleen Gray, Assistant Vice President and Chief Information Technology Officer at McMaster University; and Jim Ghadbane, President and CEO at CANARIE. EC-Council has been the world’s leading information security certification body since the launch of their flagship program, Certified Ethical Hacker (CEH), which created the ethical hacking industry in 2002. Since the launch of CEH, EC-Council has added industry-leading programs to their portfolio to cover all aspects of information security including EC-Council Certified Security Analyst (ECSA), Computer Hacking Forensics Investigator (CHFI), Certified Chief Information Security Officer (CCISO), among others. EC-Council Foundation, the non-profit branch of EC-Council, created Global CyberLympics, the world’s first global hacking competition. EC-Council Foundation also hosts a suite of conferences across the US and around the world including Hacker Halted, Global CISO Forum, TakeDownCon, and CISO Summit. ORION is a not-for-profit organization dedicated to empowering Ontario researchers, educators and innovators. We foster a community of more than two million users at more than a hundred universities, colleges, hospitals and research institutions, as well as many of Ontario’s school boards. We enable ground-breaking discoveries and cutting-edge education by connecting institutions and regions through our network, facilitating collaboration, and providing our community with the digital tools and expert support they need to make the world a better place. ORION, SOSCIP and Compute Ontario have joined forces to host Advance Ontario on May 14-16, 2019. As innovation in research, education, and industry becomes ever more dependent on digital infrastructure and collaborations among experts in their fields, it is key that this community come together to assert and understand their shared challenges and opportunities as well as their unique perspectives. Advance Ontario will host professional development workshops curated to protect, connect and propel innovation for research, education and industry in Ontario.